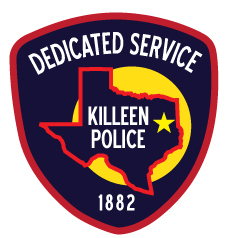 On Saturday, December 2, 2017, at approximately 4:01 p.m., officers and detectives with the Killeen Police Department received a call that the Copperas Cove Police Department was in a pursuit of a white Dodge Challenger traveling eastbound on IH-14 towards Killeen. Officers responded to the area of Clear Creek and IH-14 to assist. They located the vehicle in the area of Stan Schlueter Loop and Judson Street when the driver sped off and the pursuit continued. The driver led officers throughout the City of Killeen at a high rate of speed. Spike strips were successfully deployed at the intersection of Fishpond Lane and Weiss Drive, causing damage to the left front tire of the vehicle. The driver continued to drive towards Jasper Road and turned northbound onto Fort Hood Street. As the vehicle approached the intersection of Fort Hood Street and Rancier Avenue, a police unit successfully disabled the Challenger by striking it from behind causing the vehicle to come to a stop. The driver attempted to flee on foot but officers were able to taken him into custody at the scene after a brief struggle. No injuries were reported during this pursuit. The suspect driver, 28 years-old Deon Lashawn Clay, was transported to the Killeen City Jail. Clay had several outstanding warrants to include Aggravated Robbery, Evading Arrest in a Vehicle and False Statement to Obtain Credit. The agencies involved in this pursuit were the Copperas Cove Police Department, the Department of Public Safety State Troopers and the Killeen Police Department Patrol Division.